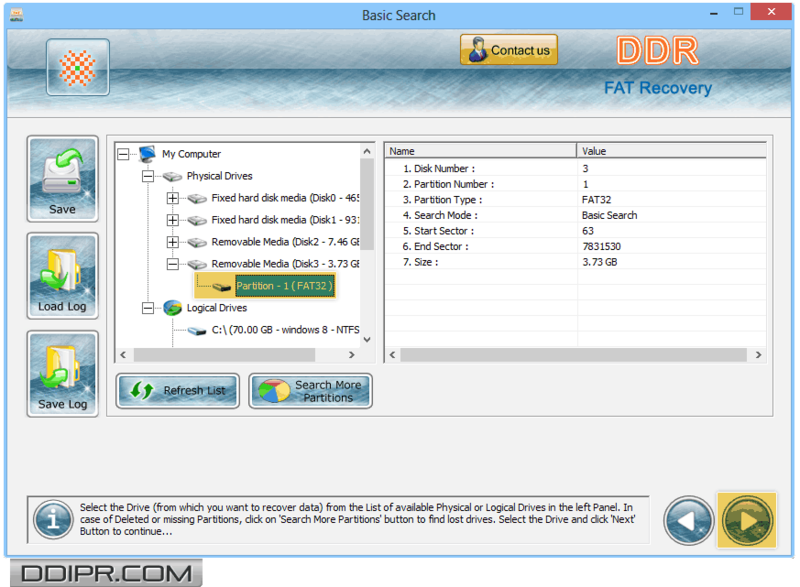 Choose your drive from the left panel and click next button to proceed. 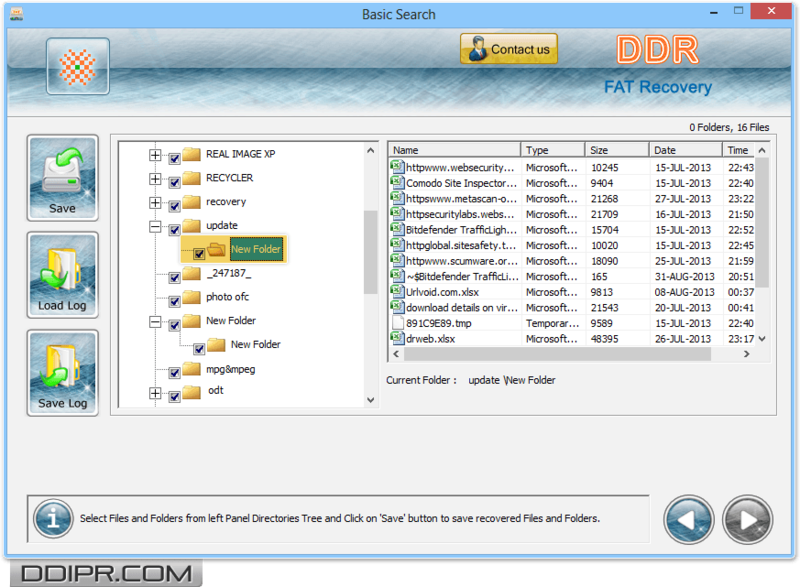 Status of searching lost data from sectors is displayed in the above screenshot. 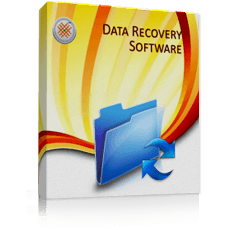 Select recovered files and folders that you want to save at desired location.